The Melbourne Business Analytics Datathon is aimed at showcasing how advanced analytics can "Transform Decision Making". Participants have access to core SAS technologies to drive insight into data across financial, retail, loyalty and health. The end results showcase what is possible through advanced analytics and actually solve a real business problem that could impact on the lives of all Australians. 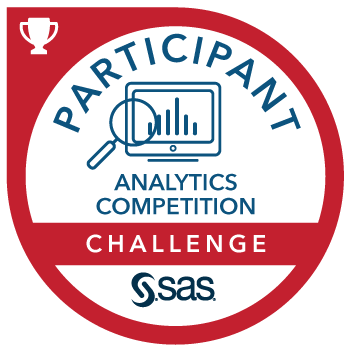 Participation in a SAS sponsored hackathon event.